Walter "Wash" Bannister remains the only Chesterfield player to die from injuries received on the football field. Hasland-born, He grew up on Chester Street, one of ten children of Issac and Harriet Bannister, andstarted playing football with clubs in the Brampton area before joining Chesterfield Town from Brampton United in 1889. 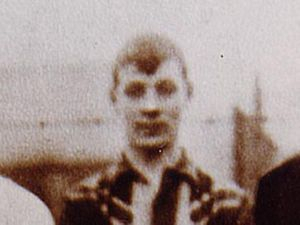 He was said to be the first player to be paid a wage by Chesterfield Town, although that distinction has also been claimed for a team-mate, Arthur Vickers. Whether he was the Town club's first professional or not, he quickly rose to become a valued member of the club. He and Isaac Turner jointly received the proceeds of a "benefit" match against Breaston in April 1891, and he skippered the side to a notable local "treble" in 1891-2. On November 4th 1893 Chesterfield entertained Derby Junction in the FA Cup. It was an attractive fixture; the Junction team were previous FA Cup semi-finalists and a good crowd was present at the men of the Crooked Spire took an early lead. The Derby side came back into it and broke through Allsopp, a fast, direct winger. Bannister came across at speed to tackle and, in the collision, took a blow to his side from Allsopp's knee. Bannister left the field, apparently winded, but keen to continue. His condition worsened during half time, though, and he was taken along Saltergate to the Royal Hospital on a handcart. The doctors diagnosed kidney damage and ordered rest, which Bannister took at home with his wife, Olive, and their new baby. After a fortnight or so some friends called, and Bannister went out with them; while he was out he fell, and his condition deteriorated. He was readmitted to hospital but died on November 23rd, 1893, at the age of 24. A benefit match was played against Brampton Works in December; collections were held and something like £30 was raised for Walter's widow and baby. Crowds lined Chatsworth Road to pay their last respects as Walter was interred at St Thomas's, in Brampton. An inquest was held, and concluded that Bannister had died of a rupture to the kidney damaged in the match with Derby Junction. No blame was attached to Allsopp, who gave evidence to the inquest, along with other players and spectators. With some justification, the coroner concluded that such a fate must be considered as one of the risks of playing football. Walter was by no means the only local man to die under such circumstances around that time. The news of Bannister's death made it into local newspapers all over the country, and, by golly, it doesn't half put the amateur theatricals of the modern Premiership footballer into perspective.